Are you curious about motorbike or motorcyclist accident compensation claims? We can help riders that were injured by a non-fault incident so they can recover compensation and get help with rehabilitation. We can also help with getting replacement helmets, leathers, and motorbikes from the individual, party, or organisation that was responsible for the motorbike accident. If you or someone you love was involved in a motorbike accident known to be the fault of someone else, then you might have the right to bring up a compensation claim. Call us to speak to our specialist motorbike injury lawyers now. The conversation is free of charge and has no obligation. You can also fill out the form above to request us to call you back as another way of starting your free case assessment. 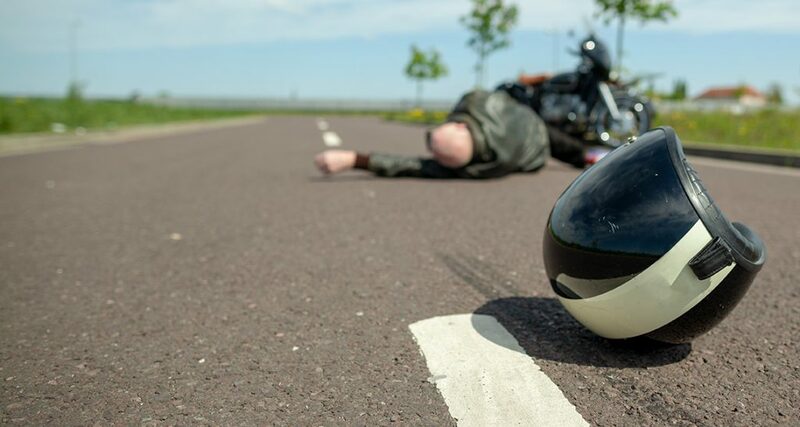 Our expert lawyers are able to represent surviving families when a motorcyclist gets seriously or even catastrophically injured, as well as work involving compensation claims following a fatal accident. In such circumstances, then our team of catastrophic injury lawyers can work towards securing you or your family an early interim compensation payment in order to ease your financial hardship. We’ll also consider how appropriate a Personal Injury Trust might be so that your benefits get protected. We also work with Private Client solicitors to make arrangements for Court of Protection needs in cases where an injured individual might not be able to manage financial affairs on their own. What Will Your Motorcycle Accident Payout Actually Cover? Going through any motorbike accident can mean also going through life-altering repercussions. As such, most compensation settlements or awards will take the following factors into account. Awards are typically set out in alignment with the Judicial College guidelines that are drawn up in regards to personal injury claims. Such guidelines aren’t just used by courts but also insurers who propose settlements. Every UK road user is mandated to have insurance coverage prior to using their personal vehicle on the roads. This means that if they are personally responsible for any road traffic accident, they can pay out the bill that repairs victim vehicles and covers hardship or injury compensation. 3rd party cover is the minimum insurance requirement, and even it will cover road traffic incident victims, offering monetary relief if they have to take time off from work so they can recover from mental suffering and physical injuries. We understand just how complicated the insurance system of the UK can prove. It’s why we’re here to help out accident victims make their claims following accidents that weren’t their fault. A lot of insurers will offer a victim an early settlement sum prior to having an opportunity to enjoy legal advice or consultation. However, accepting an offer like this is usually not a good idea, since the offered sums are typically lower than amounts you might get in court after pursuing a claim. No insurer can properly value a claim without having medical evidence, and if you wind up accepting any early settlement before you seek out legal advice, then you’ll have no rights for redress should you wind up experiencing any longer-term issues or symptoms. Anybody that has personally been a non-fault victim of a motorcycle accident in the previous 3 years might be eligible. Our team of skilled professionals is very experienced in establishing motorbike accident claims, and they can help you figure out if your case is valid. We can provide sound, clear, and comprehensive medical evidence demonstrating your injuries as well as the likely time-frame in which you might recover. Then, we can also use this information to properly quantify your case. We’ll also factor in claims for any possible financial losses so you can get back the full amount. If you or someone you love has gone through a motorbike or motorcycling accident, and you want to talk to a specialist lawyer about a personal injury or dependency claim, contact us at our free phone number for a no-cost and no-obligation consultation and conversation. You can also request we call you back using the form.